After Chinese brand, iVoomi entering the Indian market last month, it’s now time for another Chinese brand to debut in the country. 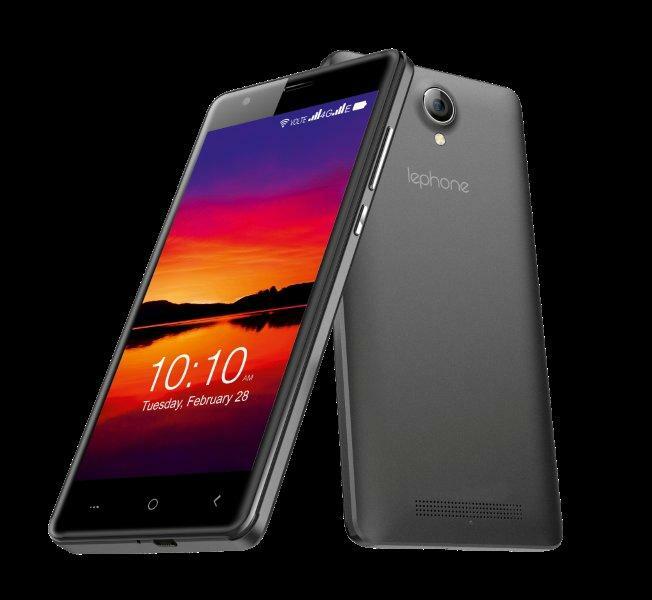 Lephone, which was formed back in 2005 has now entered the already crowded Indian market with the launch of its Lephone W7 entry-level smartphone. The Lephone W7 comes with support for 22 regional languages, and that’s a highlight of the phone. It also comes with the assistance for 4G VoLTE and is priced at Rs. 4599. As far as the 22 regional languages go, it supports Hindi, Assamese, Bengali, Bodo, Dogri, Gujarati, Kannada, Kashmiri, Konkani, Maithili, Malayalam, Manipuri, Marathi, Nepali, Oriya, Sanskrit, Santhali, Sindhi, Tamil, Telugu, and Urdu. The Lephone W7 is a dual-SIM smartphone that flaunts a 5-inch FWVGA screen with a resolution of 480×854 pixels and 2.5D curved glass. The phone is powered by an unspecified quad-core SoC, clubbed with 1GB of RAM. Including 1GB of RAM at this price point is a thing to watch out for. It also comes with 8GB of internal storage, which can be expanded up to 32GB via microSD card. The Lephone W7 packs a 5MP rear-facing camera along with a LED flashlight. It also has a 2MP front-facing camera. The phone runs on Android 6.0 Marshmallow based 360 OS and comes with features such as 360Security; dual apps, etc. Connectivity options in the phone include 4G VoLTE, Wi-Fi, Bluetooth, USB OTG, and a GPS chip. Lephone has added sensors such as the ambient light sensor, accelerometer, and proximity sensor. The phone will be available in Gold, White, and Black colours. Redmi 4a ka price 5999 2gb / 16gb 720p aur premium build.